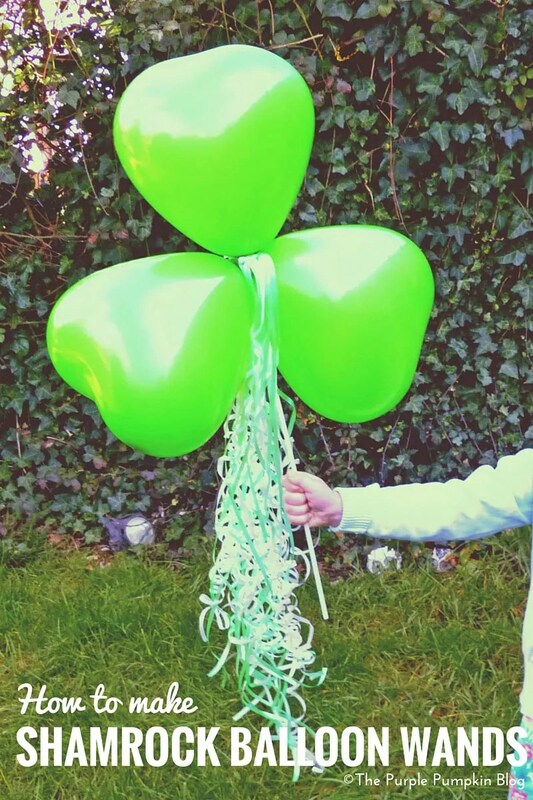 A couple of days ago I showed you how to make Shamrock Balloons using helium. 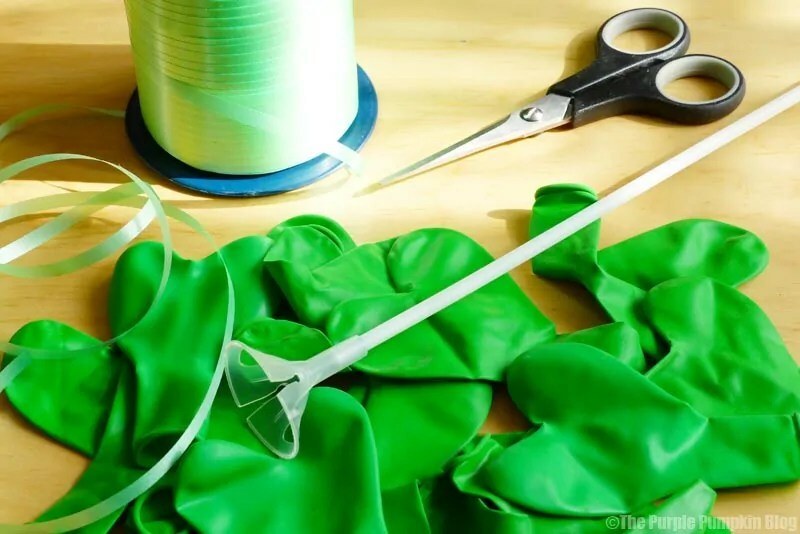 Today I’m showing you how to make Shamrock Balloon Wands, using air filled balloons, and perfect for younger children to play with, as they won’t float away into the atmosphere if accidentally let go! If you’re not a fan of blowing up balloons with your mouth, then you’ll also need a balloon pump. 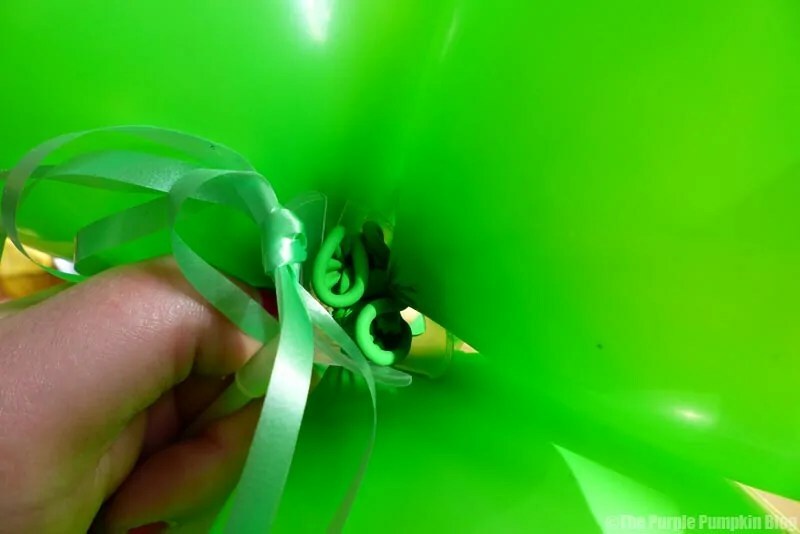 Since balloon sticks have two slots, but you need to insert three balloons, through trial and error, I found that you have to tie the three balloons together first. 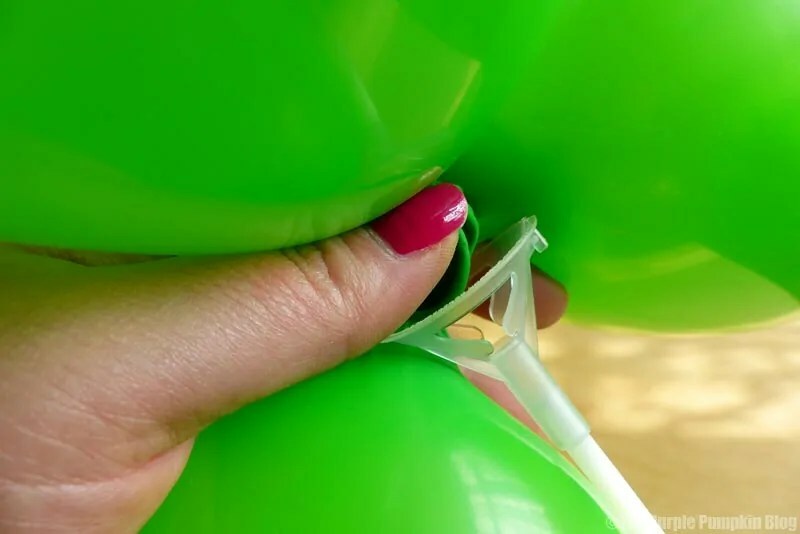 To do that, blow up balloons 1 and 2, but don’t tie them up individually – tie them together. Blow up balloon 3, and tie this directly to the pair of already tied balloons. It can be a bit fiddly, but persevere! I found it helped to blow up the balloons, and deflate them a couple of times first to stretch them out. Don’t blow them up fully, so that you have enough of the tail end to tie with. 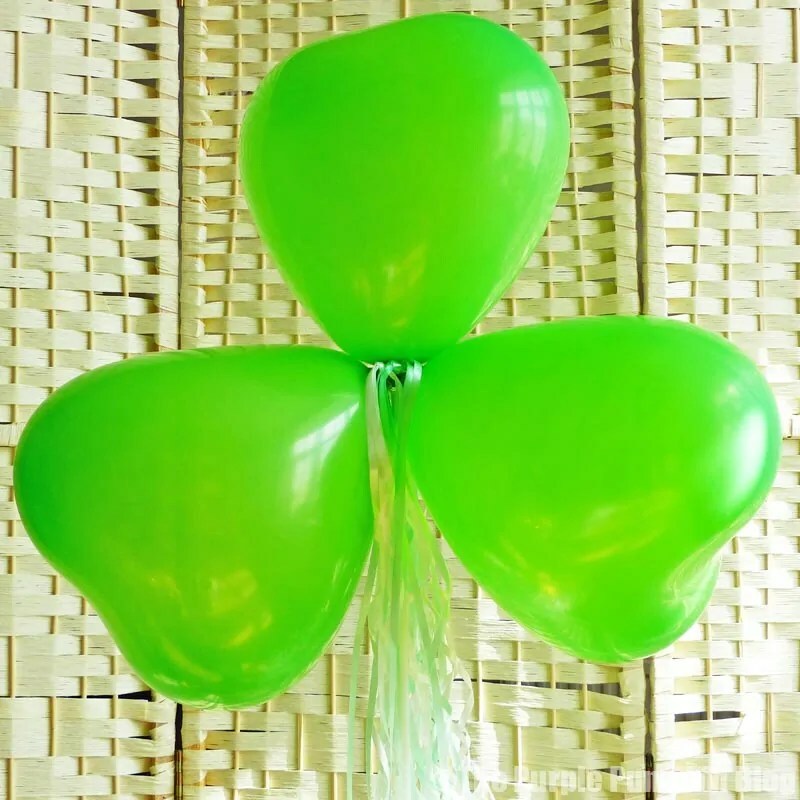 With your balloons tied, and the shamrock balloon shape formed, you just need to stretch the tied ends across the slits in the balloon stick cup. Then, measure of lots of long lengths of ribbon – I used around 12 pieces, around 80cm long, but only because I wanted lots and lots of full on curls! 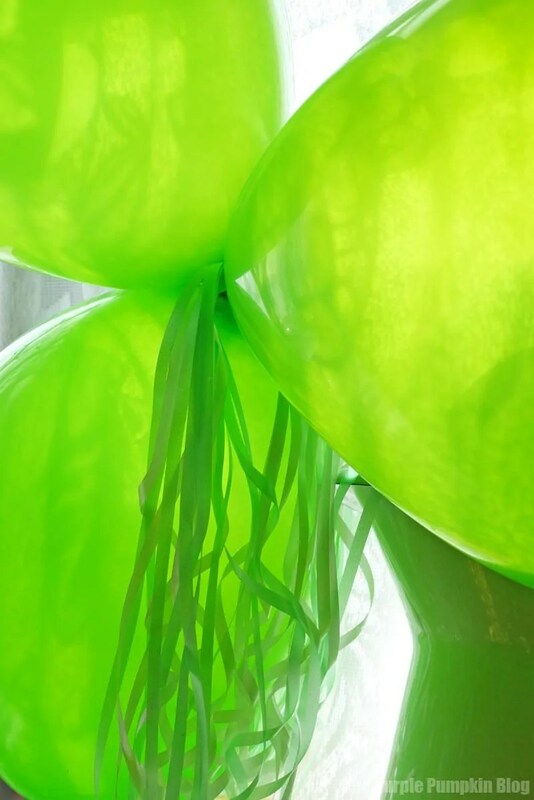 You can tie them onto the balloon cup in batches, or in one big bundle. I did batches, to spread the curls around a bit. Use a pair of scissors to pull along the ribbon to form the curls. And that is it! Your shamrock balloon wand is done! If you can’t find heart shaped balloons, regular ones will also work, and you could make this in different colours if you wanted to! How about all the colours of the rainbow? These balloon wands are great for kids parties, and it’s something the little guests can take home with them too. 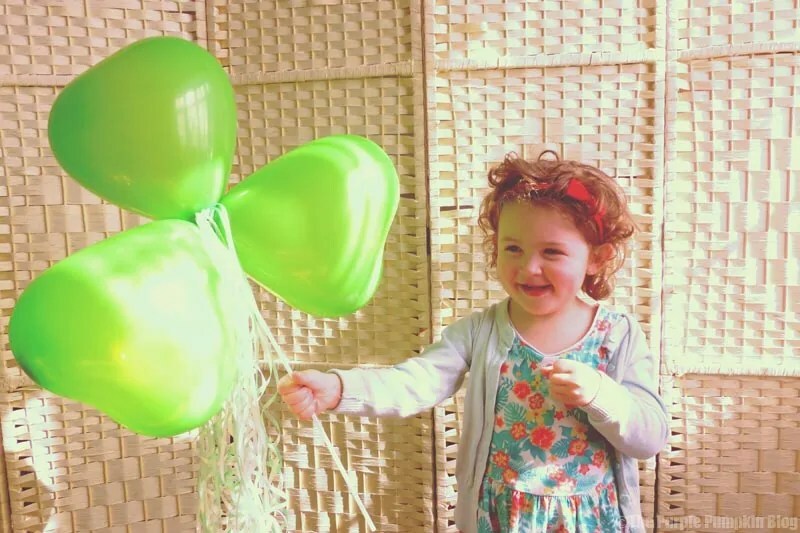 I decided I needed a model to demonstrate this shamrock balloon wand, so called up my sister, Jo, saying “I need a child model, wearing green!”, and Sephy was dressed in the only green outfit she has got, and came over to my house to show off the wand. She loved it!